"Sampath Speaking" - the thoughts of an Insurer from Thiruvallikkeni: Indian Wicket keepers ~ seriousness of Saha's injury !?! Indian Wicket keepers ~ seriousness of Saha's injury !?! To the Cricket fan with unquenching desire to know more and more of the game. Way back in Feb 1976, India played New Zealand in ODI no. 36 - 3 south Indians – R Sudhakar Rao and Pochaiah Krishnamurthy alongside veteran Bhagwar Chandrasekhar made their debuts. Years later in Asia cup match in May 2000 India beat Bangladesh at Dhaka – curiously, Ganguly used 8 bowlers – AjitAgarkar, T Kumaran (! ), SouravGanguly, Anil Kumble, Sunil Joshi, HemangBadani, Robin Singh &Sachin Tendulkar. Kumble had ordinary figures of 9-0-43-0 – did not beat the batsman much – but one of his deliveries beat the bat, jumped, and hit the wicketkeeper injuring his eye. He rushed to Chennai for treatment – did not play any one dayer after that. How many Indian wicket-keepers do you remember ? That man is part of selection committee now – that injury to Syed Saba Karim provided an opportunity for Mongia to come back into the side. To be fair, there was no way Karim could have got out of the way as the ball ricocheted too quickly off the pads. Saba Karim was a surprise choice for the tour of West Indies in 1989 but being the reserve wicketkeeper, never got to play a single international game. He was forgotten for some time but came back into the Indian side during the 1996 tour of South Africa. 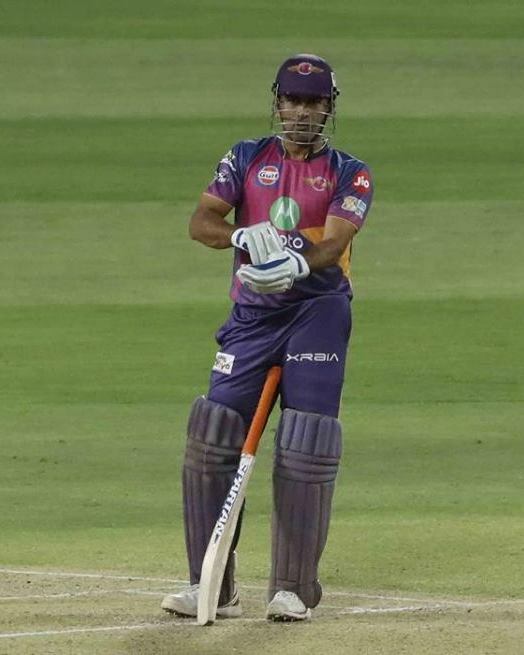 In the world of Wicket keepers, the mercurial Mahendra Singh Dhoni is a jadugar. He has been brilliant behind the stumps, some great dives, flashy stumpings and .. .. and – some brilliant run-outs collecting the throw, facing them, and hitting the stumps in style with accuracy without even caring to turn back, thus catching the batsmen in surprise. The speedy and agility are unmatched – this is no post on his batting abilities as a finisher – but more on wicketkeepers of India. MSD is a thinker – as revealed by an interesting anecdote in journalist Bharat Sundaresan's book The Dhoni Touch. Sundaresan reveals how Dhoni asked his team not to celebrate exuberantly when India were on the verge of beating Australia in a one-day international at the Melbourne Cricket Ground (MCG) in 2008. Dhoni’s thinking was, it will show the formidable Australians that the Indian victory was no great surprise, and definitely not an upset.Australia were the reigning world champions back then and Dhoni was leading India for only the 15th time in ODIs. After India chased down the 160-run target with five wickets in hand, Dhoni advised a young Rohit Sharma to make the customary post-match handshakes as deadpan as possible, just to let their opponents known that India treated a victory over Australia the same way they treated a win over any other nation and an Australian defeat was no longer an upset. Wicketkeeper-batsman Rishabh Pant has earned plaudits for his flamboyant batting in the shorter formats, but India A coach Rahul Dravid believes he has the "temperament and skills to bat differently" in the longer formats too.Pant earned his maiden call-up to the Indian Test side riding on impressive knocks for India A during the recently concluded tour of the UK, where he hit crucial half-centuries in four-day games against West Indies A and England Lions. His active international career started in 1961 and continued to 1975, and he was India's first-choice wicket-keeper for most of that period, keeping wicket for the spin quartet of Bedi, Prasanna, Chandrasekhar and Venkataraghavan. He was also a highly useful, stylish and very aggressive batsman, scoring two Test centuries. He was the wicketkeeper for the "Rest of the World" team that played matches against England in 1970 and against Australia in 1971-72. Farokh Engineer was the first Indian cricketer to endorse Brylcreem and was known as a 'Brylcreem Boy'. Engineer’s 109 as opener in the third Test against the West Indies at Madras in 1966-67 turned out to be a career-defining innings for him. Prior to the match, he had been in and out of the Test team as he faced stiff competition from BudhiKunderan and KS Indrajitsinhji. After his scintillating hundred (94 of which came in the first session of the Test), Engineer was a regular member of the side till his retirement. He played in English league too. Pochaiah Krishnamurthy made his test debut against the West Indies during the victorious Indian tour of West Indies in 1970-71, under the captaincy of AL Wadekar. He played in all the 5 tests but later went out of favour. He toured NZ in 1976 too, making his debut and playing his solitary ODI. Syed Kirmani was the quietly efficient worker ant who replaced the flamboyant Farokh Engineer. His 12-year stint at the top saw a sea-change in the way India played. The early part of Kirmani's career was spent keeping wicket to the famed spin quartet, never the easiest of tasks. After they faded away, he had to step back a few paces to deal with a seam attack spearheaded by Kapil Dev. The TN camp was gaga about Bharath Reddy who toured as understudy of Kirmani, and played when Kiri was dropped for WC 1979 and subsequent tour. In the 1983 tour to WI, India recalled couple of veterans AnshumanGaekwad and Srinivasan Venkatraghavan under Kapil Dev – Kiran More a youngster was part of the squad. After a fairly long spell as understudy to Kiran More, Mongia made it to the Indian team in the mid 90s and from then on was been India's No. 1. In between, there was ChandrakantPandit, who played more than a couple of tests alongside More as a batsman. Ajay Ratra gritted 115 not out in Antigua in 2002, becoming the youngest wicketkeeper to score a Test century. He was just 20 and it was only his third Test, but later the summer proved to be cruel as he lost his place in the Test side to Parthiv Patel, and in the one-day side to the appointment of Rahul Dravid as keeper in the quest for balance. SadanandViswanath dazzled in 1985 down under, but failed miserably in Sri Lanka to fizzle out. The other keepers would include - Deep Das gupta, Dinesh Karthik, MSK Prasad, Vijay Dahia, Sameer Dighe, Pankaj Dharmani, Naman Ojha .. .. .. ..
WriddhimanPrasantaSaha was drafted into the Bengal Ranji side after regular wicketkeeper Deep Dasgupta signed up with the Indian Cricket League. 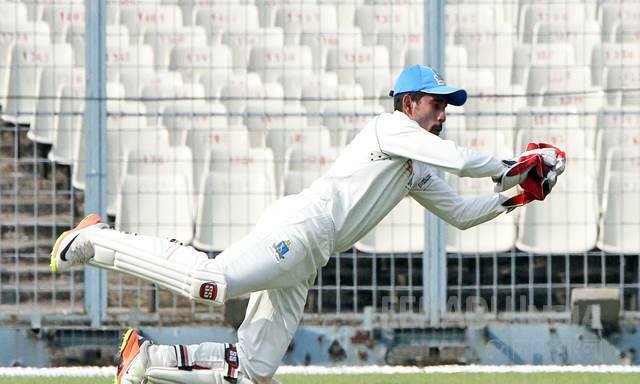 He grabbed the chance becoming the 15th Bengal player to score a hundred on Ranji debut. A last-minute injury to Rohit Sharma handed Saha an unexpected debut in Nagpur - as a batsman.His second Test appearance - against Australia in Adelaide in January 2012 - was also somewhat accidental, a result of MS Dhoni's suspension due to a slow over rate. In between, Saha played two ODIs against New Zealand. Dhoni's retirement from Test cricket after the Boxing Day Test against Australia in Melbourne in 2014 opened the doors for Saha, who had long been an understudy, to firm up his position in the team. Now there are clouds over his playing for India.WriddhimanSaha is set to undergo surgery on his right shoulder in Manchester in the last week of July or early August. There is no timeline for his return to action after that, but it is likely that he won't be able to even lift a bat for two months after such a surgery. This bulletin was made public on the BCCI website on Saturday, three days after Saha was left out of the England tour with no reason given.Even the head of the national selection panel MSK Prasad seemed to have been unaware of the shoulder injury. A day after the selection meeting in England, Prasad was quoted by the Kolkata-based Telegraph as saying that Saha's thumb fracture had not healed in time. However, it emerged later that Saha had been struggling with a shoulder injury for close to six months. Over the last six months, India's first-choice Test wicketkeeper WriddhimanSaha has been struggling with a shoulder injury, for which he has been to the National Cricket Academy (NCA) for various rehab sessions, has seen three different doctors, has taken three injections, and will now need a surgery after which he won't even be able to lift a cricket bat for two months. He is likely to lose a year of cricket, if you don't count the few IPL matches he managed in between. If he doesn't make it to the Australia tour at the end of this year, Saha will have missed 12 straight Tests, the only format he represents India in. He will be 34 by the end of this year and it does appear doubtful whether he will be able to regain his position after so many tests and passage of time.